If you're looking for fantastic value for money then look no further than these fabulous bracelets made with high quality glass pearls and Czech crystals. 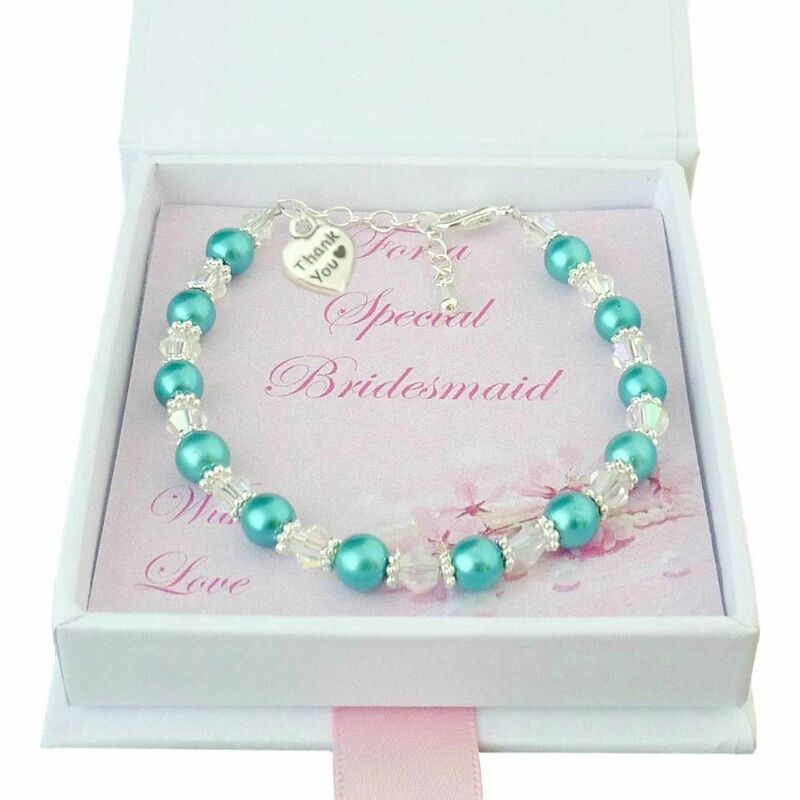 Available in a range of pearl colours these bracelets are suitable for wear on the wedding day to compliment your wedding theme or they can be given as a thank you gift to your bridesmaids, flower girls, or maid of honour. 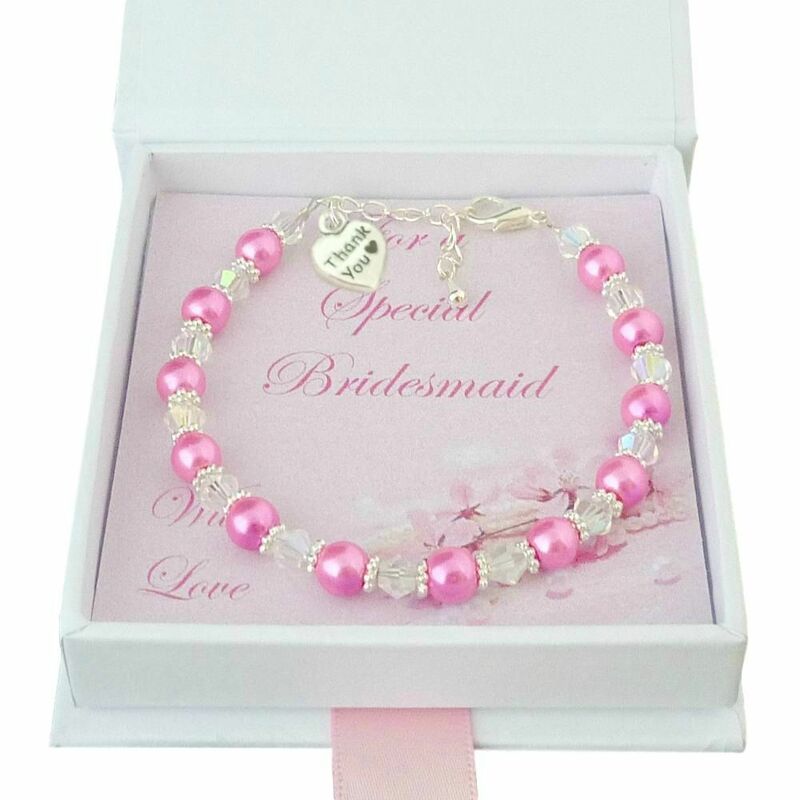 Each bracelet is size adjustable for a perfect fit on an adult or a child bridesmaid! 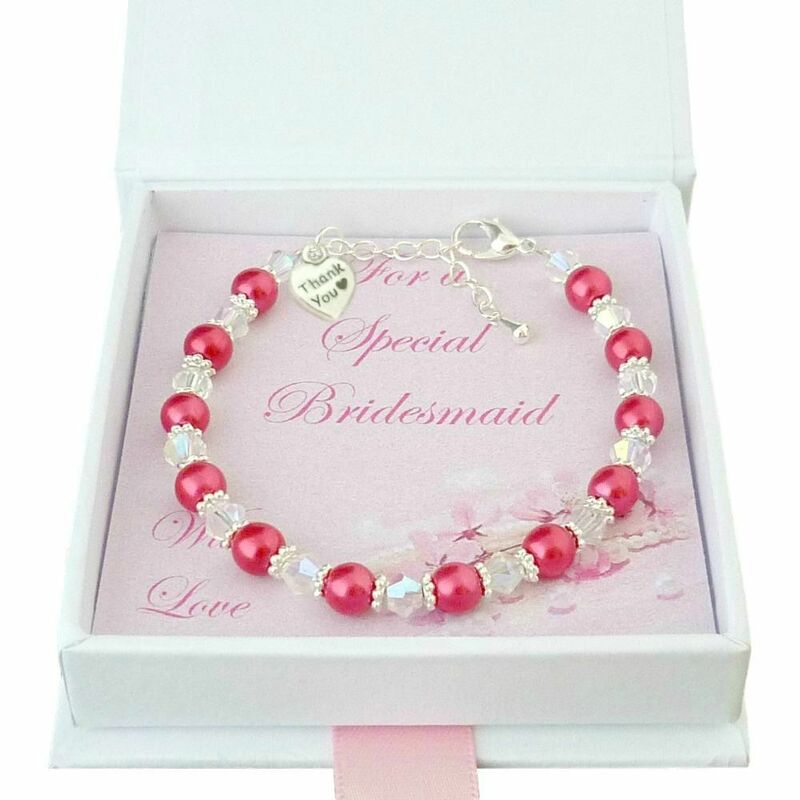 Made with beautiful high Quality 6mm Pearls and 5mm crystals, with a cute little 'Thank you' heart charm by the clasp. 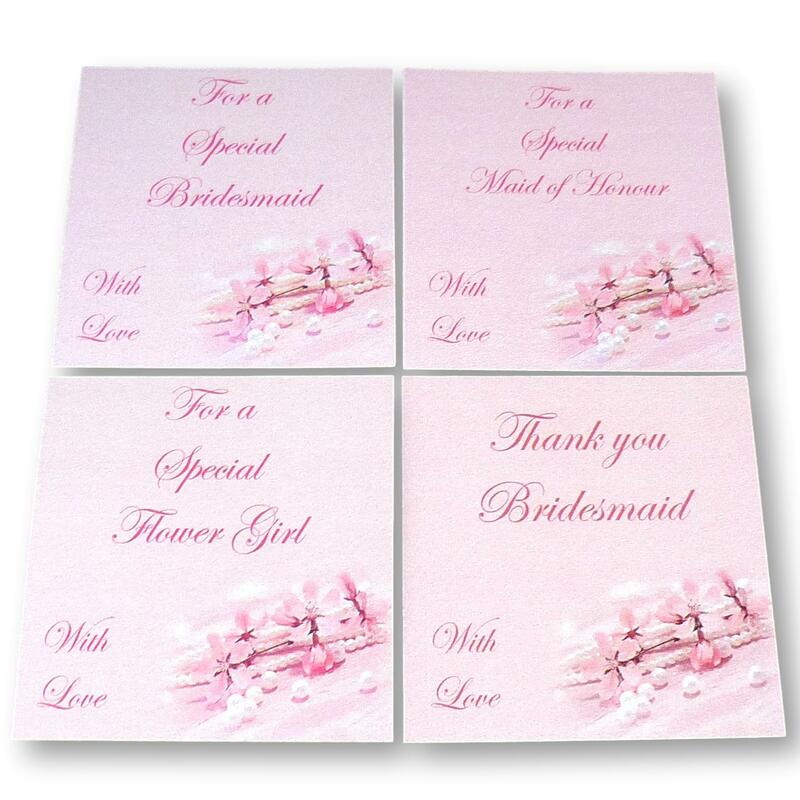 A lovely, inexpensive thank you gift to be given on your wedding day. Also included is a free mini gift card which has space for you to write in your own words inside. Sizes: Available in two sizes to fit women or girls. 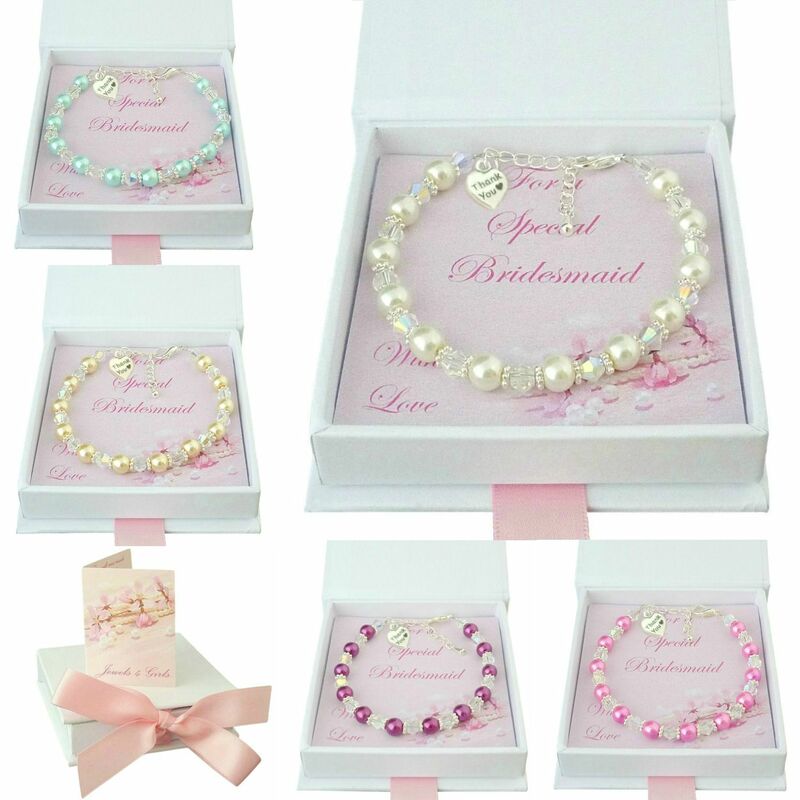 See more beautifully handcrafted Bracelets for Bridesmaids and Flower Girls. All our jewellery is handcrafted to order, so please feel free to contact us with your ideas, suggestions and requests for bespoke wedding jewellery.